The Arbitration Court of the Moscow Region ordered the customs of Sheremetyevo Airport to return Apple Rus LLC (Apple’s Russian division) more than 147 million rubles. in the case of the importation of "smart watches» Apple Watch. “Return Apple Rus LLC unnecessarily exacted customs payments in the amount of 42,9 million rubles, pay interest on the amount of excessively collected customs payments in the amount of 104,2 million rubles,” RIA Novosti quotes Judge Andrey Obarchuk. Earlier, the customs charged for importation of Arrle Watch a duty in 10% as for a wrist watch, but this device is used for data transmission, and this category of goods is not subject to duty. Representatives of Apple Rus asked to collect overpaid payments from customs in the amount of about 43 million rubles, as well as interest (case number A41-62413 / 2018). Sheremetyevo Customs agreed to return the money, but due to the difficulty in calculating interest on the day of return, the court asked the court to collect only the principal amount, inviting Apple Rus to calculate the interest and submit a separate application for collecting them after receiving the payments themselves. 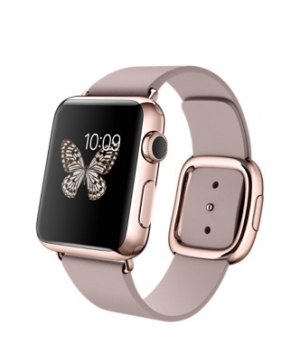 "Daughter" Apple has already sued the Russian customs due to the classification of Apple Watch. Thus, in September 2017, the Supreme Court declared three decisions of the Central Customs Board of the Federal Customs Service of Russia to change the customs classification of smart watches illegal. According to this FCS decision issued by 13 on November 2015 of the year, Apple Watch was classified as a wrist watch, for which import duty is charged in 10%, while smart watches are data transmission devices, the importation of which should not be subject to duty. Judicial board of the Supreme Court, having considered the appeal of Apple Rus, canceled the judicial acts of three lower instances, which had previously refused to recognize the findings of the FCS as illegal.